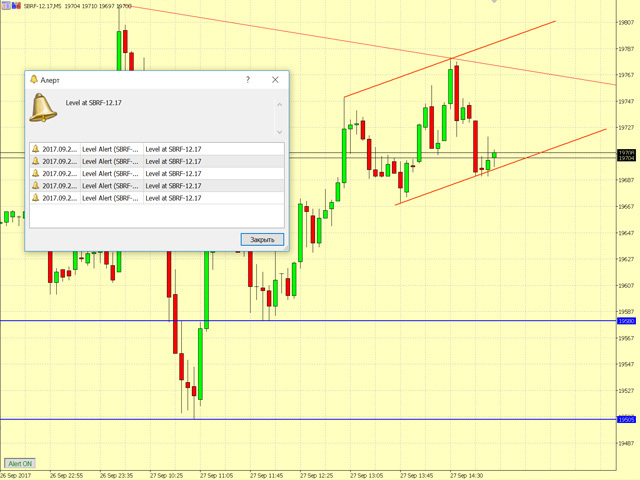 If you are using horizontal levels, trend lines or equidistant channels, then this indicator will help you. You do not have to watch charts all the time. 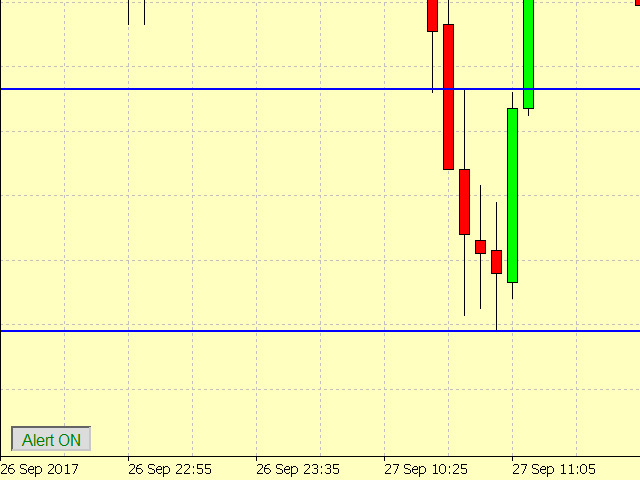 Just draw channels and lines and when the price will come close to it, the alert will notify you. 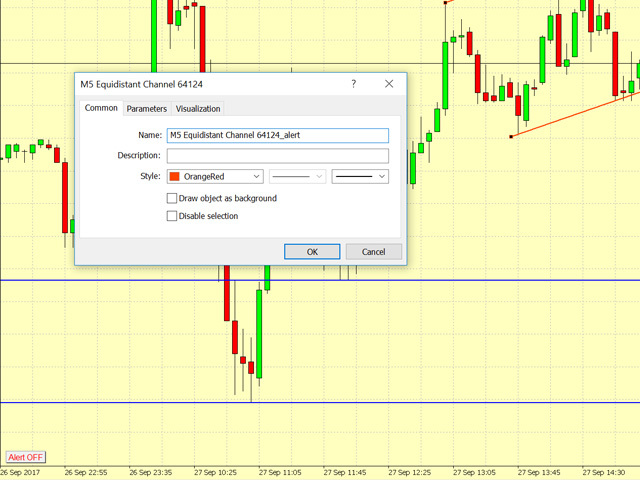 You can use as many horizontal levels, trend lines, equidistant channels as you need. There is an option to alert only certain levels on the chart. The indicator is really easy to use. It has a switch button to turn it on and off any time. For better performance, first you need to draw all of the lines and only then to turn the alert on with the button. Distance from a level when alert goes off - when difference between the current price and the level is less than this parameter, the alert goes off. Distance from a level when alert resets – after the alert went off, it will be reset when the difference between the current price and the level is greater than this parameter. Work only when object's name ends with _alert – alert only of certain levels. Just add “_alert” to the object’s name. Sends push notifications to the mobile terminals – send push notifications to the mobile terminals, whose MetaQuotes IDs are specified in the Notifications tab.